I got to become a creative director by saying yes to pretty much everything I thought I could either learn from or do a good job at. I’m curious about everything,” he says. “I got to a point in my career where I found myself needing one more thing – a reason. This collection of my work has been chosen from the last four years of searching for purpose and reasons. A designer, creative director, illustrator and speaker; Radim takes a multidisciplinary approach to Design by combining his signature mixture of vibrance and fluid concepts. Currently based in South West London, UK; Radim has been embracing freelance life for more than 10 years now and has worked with brands like: Acer, Arts Council England, BBC, The London Film Museum just to name a few. It’s about how the world outside influences the creativity inside; and how it inspires us, teaches us and makes us create better work. Coming in one size, this book is bound into a solid paperback cover with a beautiful feel and texture. This book is truly for everyone, it’ s not particularly aimed to a certain target of audience. Through the book, you get an insight of who is Radim Malinic and what he was been through in the past few years of his life. While going through the pages, this book has given some thoughts about my career myself, what’s not working and the things I can do to improve my situation. I had such a great time reading the 4 Hour Work Week by Tim Ferris that in the end I felt I was left with that little feeling of wanting a bit more. At least in the end of that book Tim recommends a few other books and I am now trying to tackle those. 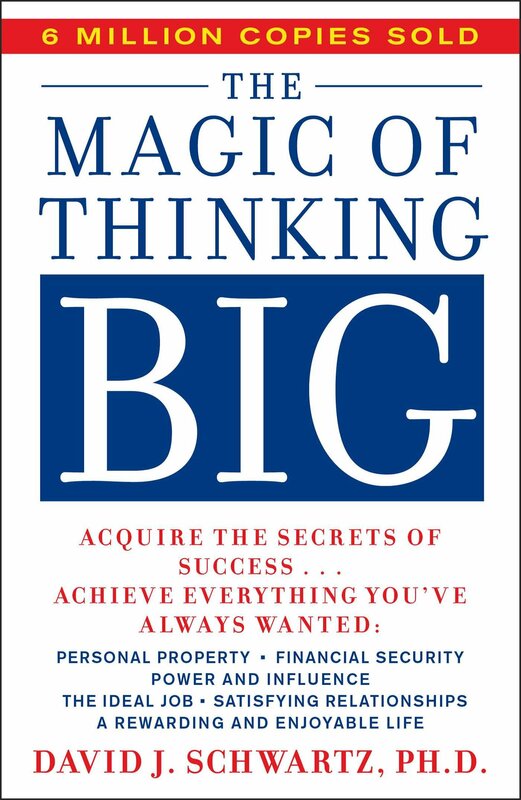 I just finished one of them, another excellent book, The Magic of Thinking Big by David Schwartz. There are so many good tips in this book that I had to recommend it here as well. Millions of people around the world have improved their lives through the timeless advice David Schwartz offers in The Magic of Thinking Big . In this best-selling audiobook, Schwartz proves you don’t need innate talent to become successful, but you do need to understand the habit of thinking and behaving in ways that will get you there. With more than six million copies sold worldwide, David Schwartz’s timeless guide and best-selling phenomenon, The Magic of Thinking Big , is now available for the first time as an unabridged audio edition. Millions of people around the world have improved their lives through the timeless advice David Schwartz offers in The Magic of Thinking Big. In this best-selling audiobook, Schwartz proves you don’t need innate talent to become successful, but you do need to understand the habit of thinking and behaving in ways that will get you there. Filled with easy-to-understand advice, this unabridged audio edition – perfect for gift giving – will put you on the road to changing the way you think, helping you work better, manage smarter, earn more money, achieve your goals, and, most importantly, live a fuller, happier life.